New kind of peplum time! I got a little experimental with this one, inspired by the looser, softer, more casual peplums I've seen this season, and I'd say for the most part it worked. I've also been into tribal and Mexican prints, like many of us this season, and I had this very cool vintage woven Guatemalan-looking fabric, like a yard and a half, on the shelf. I'd saved a pic of a cute, loose tribal print top from InStyle or something last year, and kept it folded up with the fabric. But I figured I could combine the trends, right?? So, which pattern to use? I have some looser top patterns, but I hardly trust them to fit better than a pillowcase given modern pattern fits. 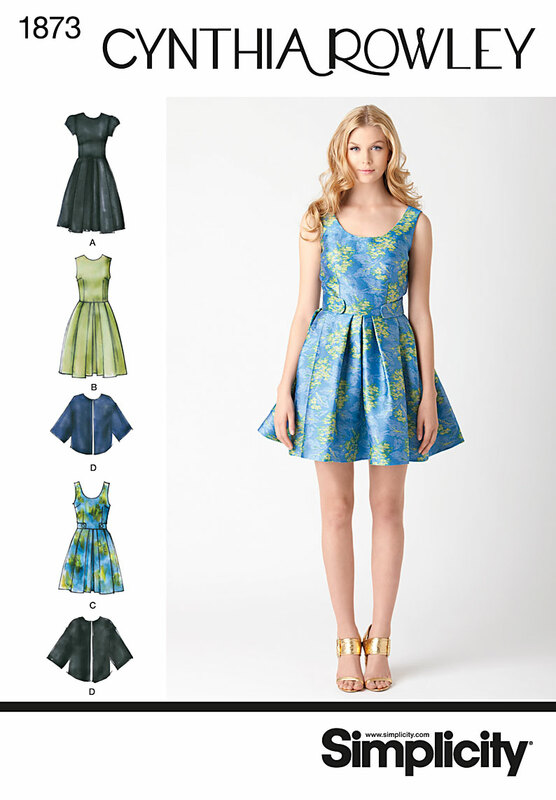 So I used the same (type of) basic fitted dress pattern I have for several of my peplum top pattern modifications--Simplicity 1873. I wasn't sure if this would make it super unflattering, but I think it worked... (you tell me, I guess). The good thing about this pattern compared to Simplicity 2444 or some others is that it does have side bust darts, so I was able to give the bust a little shaping without the waist tapering. I've never felt confident making one of those flat square tops with arm openings like some people make... they're sometimes cute on them, but I'm not sure I could pull that off! I need a little more feminine shape! Worn loose, or belted! A skinny belt would be cute, too, but this one was the first I grabbed. Not bad for 20 minutes of sewing! Largely because there was no lining or zipper--I used black single-fold bias tape for the neck and arm openings. Whew!! Speed sewing! 20 minutes!! Impressive! I really love it. This came out really cute! I like it with the belt but it also looks good without out. The fabric looks comfortable and airy--I like it a lot! Yep! Loved your top and those gorge pics! Wow! Came out cute. Great job! Did you just cut the skirt shorter to make the peplum? Thanks! I cut the bodice pretty much the length the pattern called for, and then made the peplum out of the width of the fabric about 10" long, I guess. 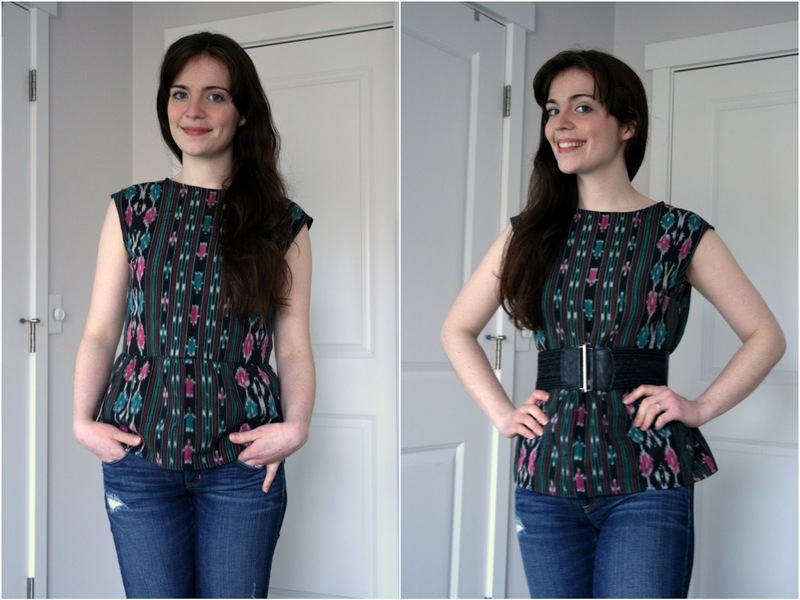 Don't need a pattern for a peplum! So smart to use a dress pattern and make it short! Great thinking! Love this post! And I can't believe it only took you 20 minutes to do!